The Toyota Camry has been the best-selling passenger car in America for 15 straight years now. But that's not because it's so fun to drive. Toyota (TM) knows this. And it's also well aware that younger car shoppers actually do want a car that's fun to drive. That's why Toyota is touting the new, redesigned Camry's "more exciting and emotional character" and "stirring performance." Of course,Toyota still brags about the new car's quality and safety, since those are actually among the primary reasons people keep buying Camrys. The new version is lower and wider than the one now on sale, factors that should help the car to corner more surely. Occupants also sit one inch lower to the ground. "Its gonna drive a whole lot differently," said Bill Fay, General Manager of Toyota Motor Sales, comparing the new Camry to the current car. It's built on a new architecture -- an industry term for underlying engineering that is shared among multiple vehicles -- that, Toyota promises, will result in vehicles that are "more dynamic, athletic and fun to drive." Two sportier "trim levels," SE and XSE, will be available for buyers who want an extra dose of excitement in their daily driving. They're a little more aggressively styled with larger wheels, air intakes around the front bumper, a mesh grill and a small spoiler on the rear. 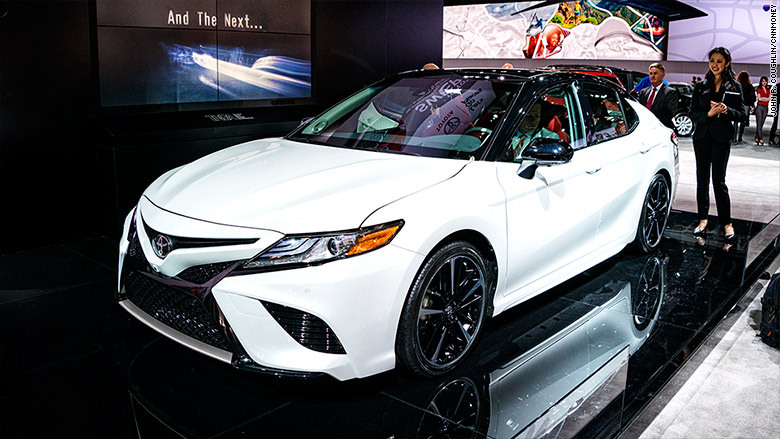 The XSE on display at the show floor at the Detroit Auto Show looks surprisingly un-Camry-like in sparkling white paint with a sharply contrasting black roof. Narrow air vents descending from the taillamps look like extensions of the lights themselves. The Camry will be offered with either a 2.5-liter four-cylinder engine, a 3.5 V6 or as a gasoline-electric hybrid. With the hybrid version, Toyota promises "Prius-like city/highway driving efficiency." For its part, the Toyota Prius gets an EPA-estimated 54 miles per gallon in the city and 50 on the highway. The next generation Toyota Corolla will be based on similarly revised engineering. Toyota is making big investments in its new vehicles to boost the driving qualities of all its vehicles, Fay said. 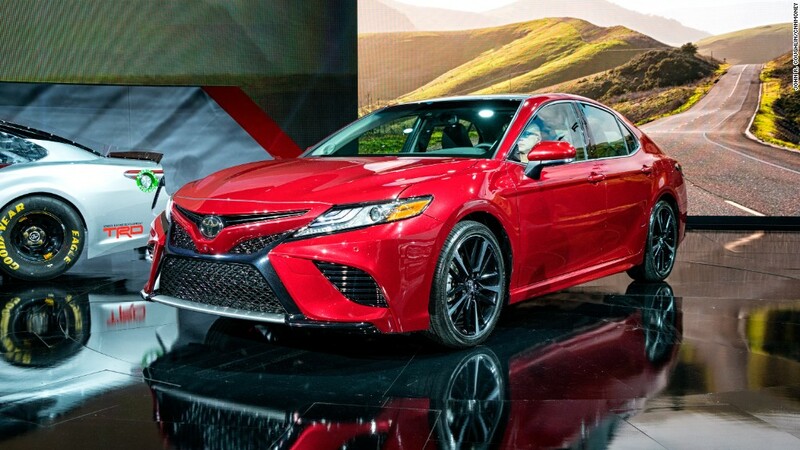 The new Camry will go on sale late this summer.